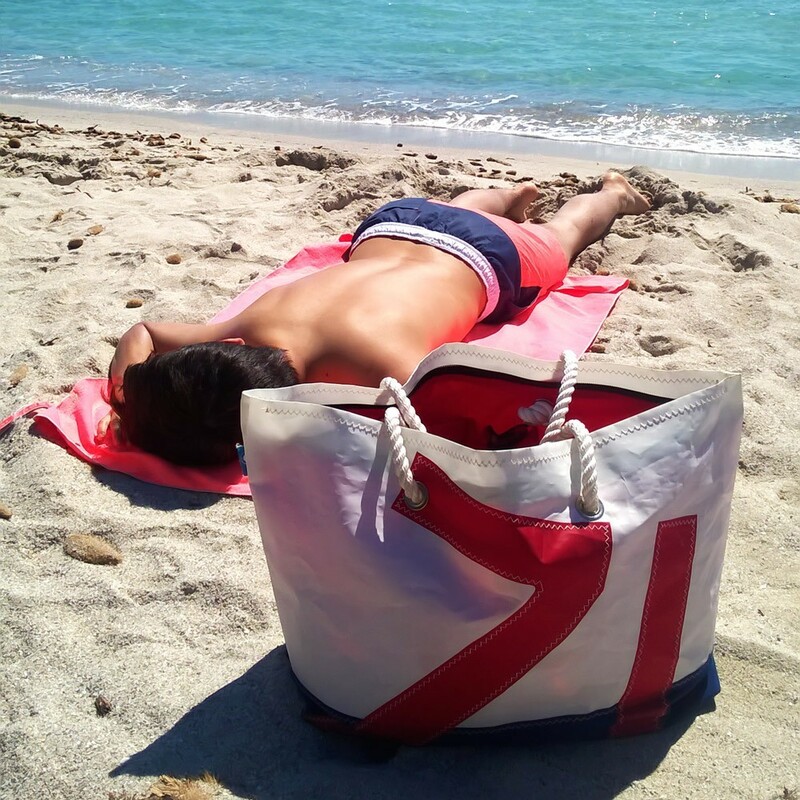 This big beach bag is made from real sail material. 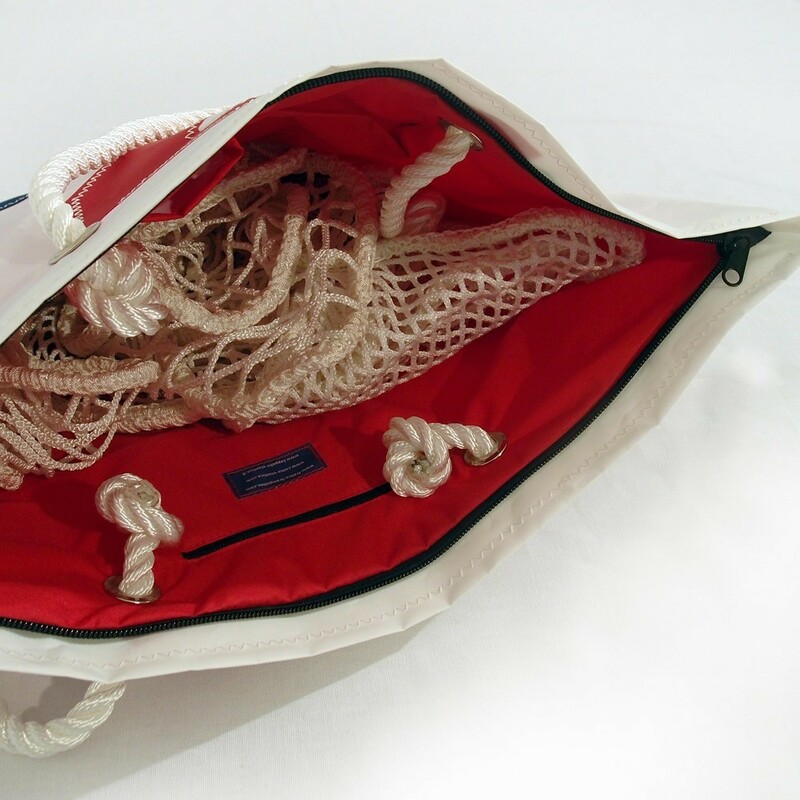 Very resistant, i twill allow you to carry around all of beach necessities. A stylish and “must have” accessory! 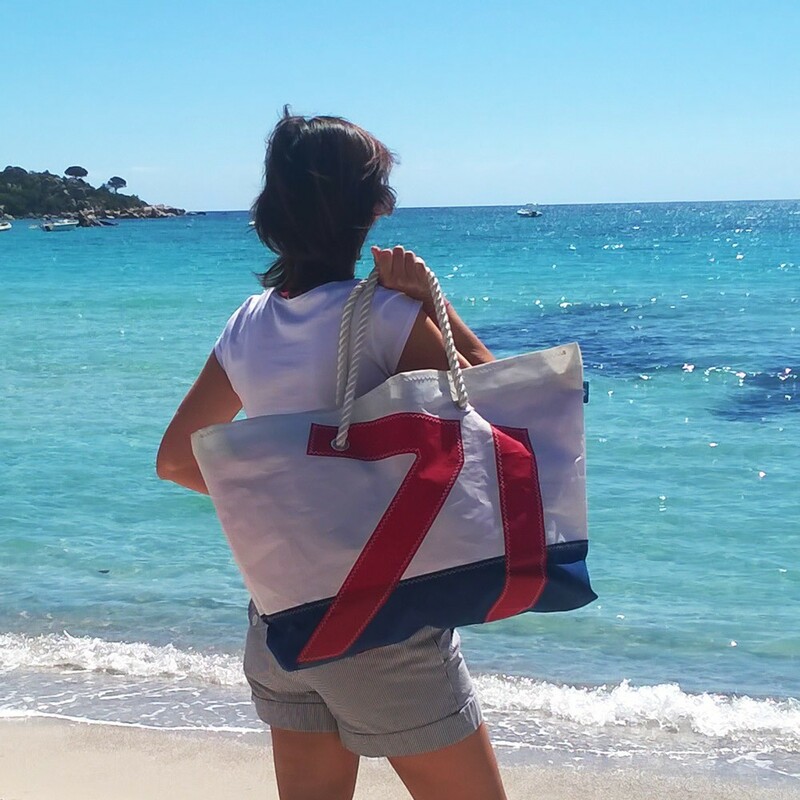 Indispensable for the summer this beach bag is made from real sail material. 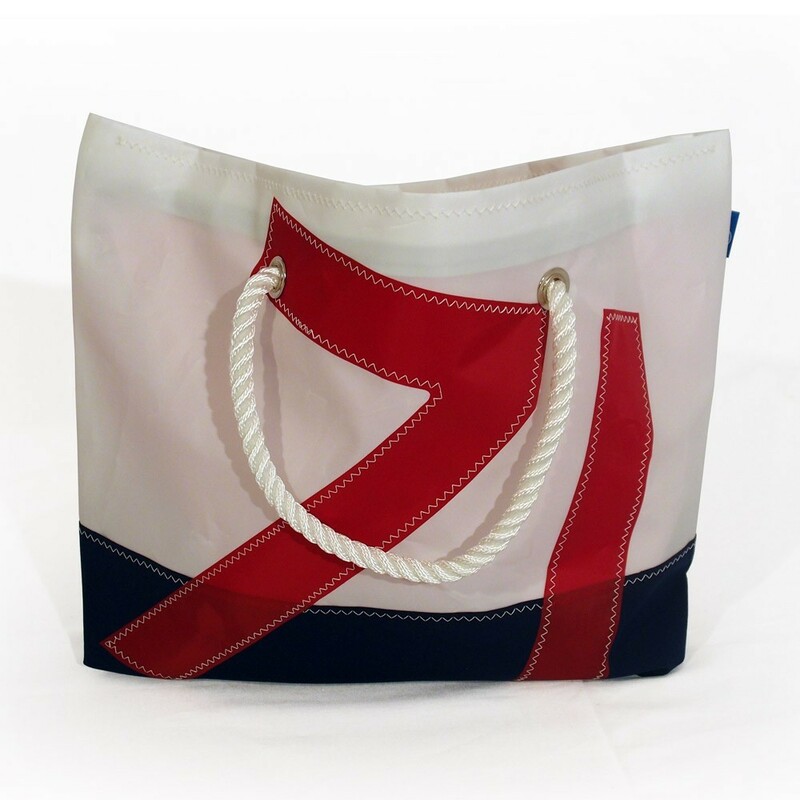 A practical and elegant accessory for the beach or to carry on to the deck of your yacht or even to carry around town. This exclusive design is signed France Trampoline: only available on our website. 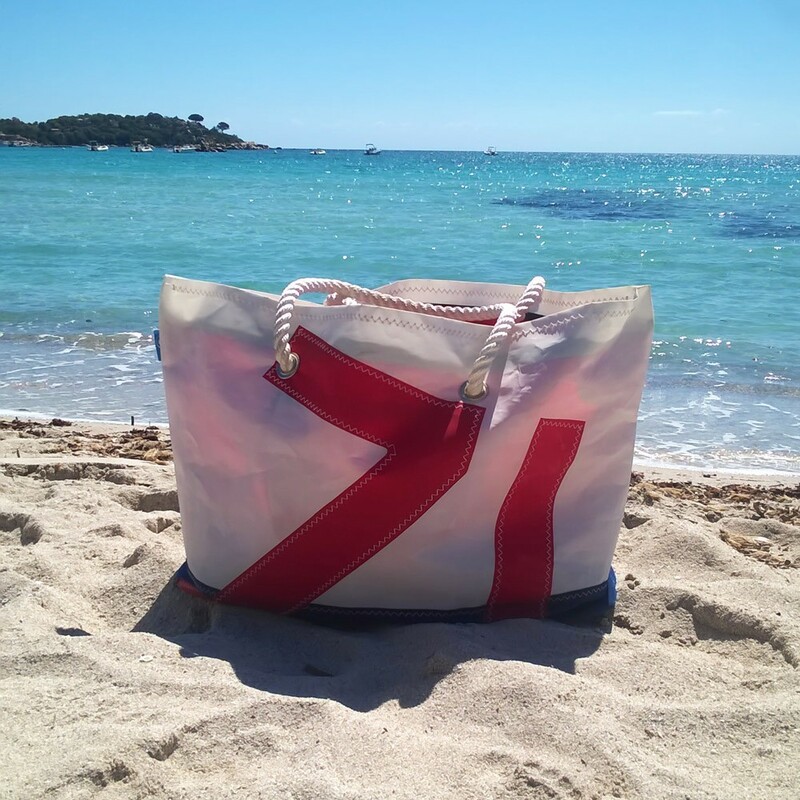 - This large beach bag has a volume of 45 litres, thanks to its generous dimensions: 40 x 68 cm. This will allow you to easily fit in all your beach accessories. 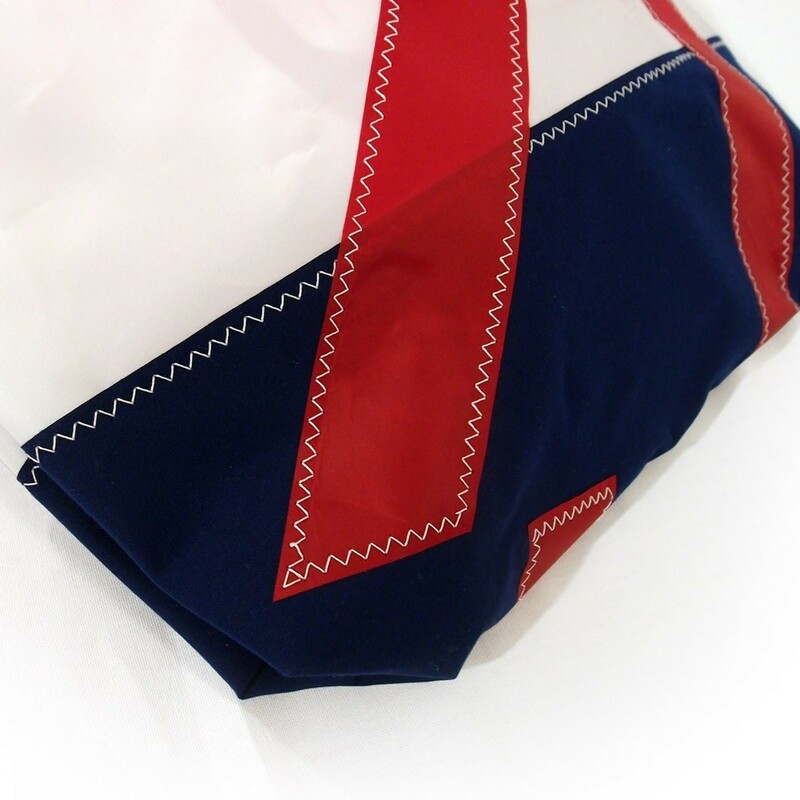 - Ultra-resistant, it is made from sail fabric. 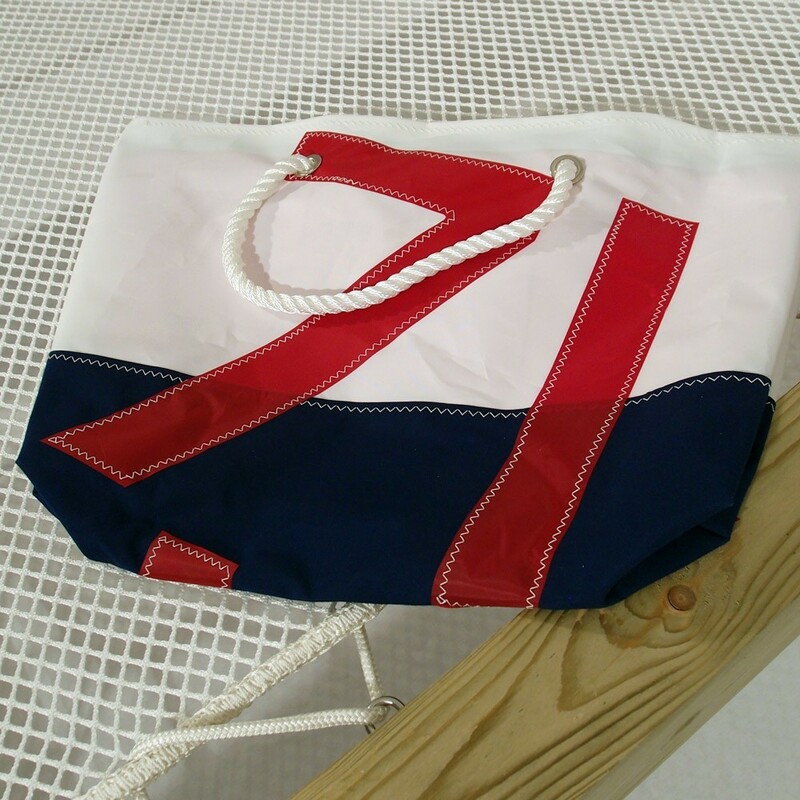 This fabric is resistant to marine conditions (humidity salt, sand). It is also water-repellent, allowing water to simply drip off. 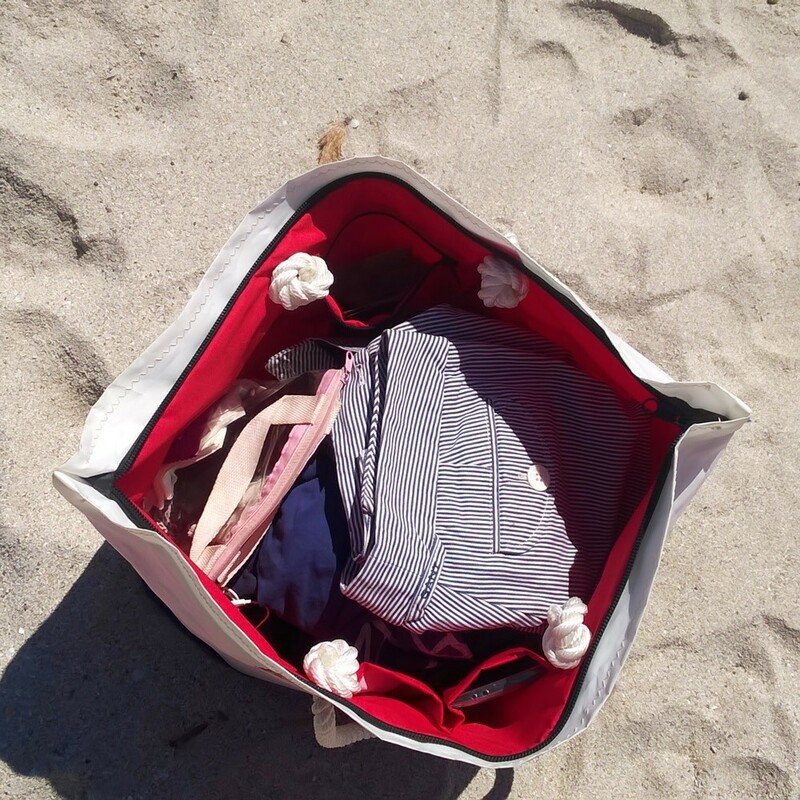 - The bag is equipped with a zip to protect your belongings from sand and any other dangers! 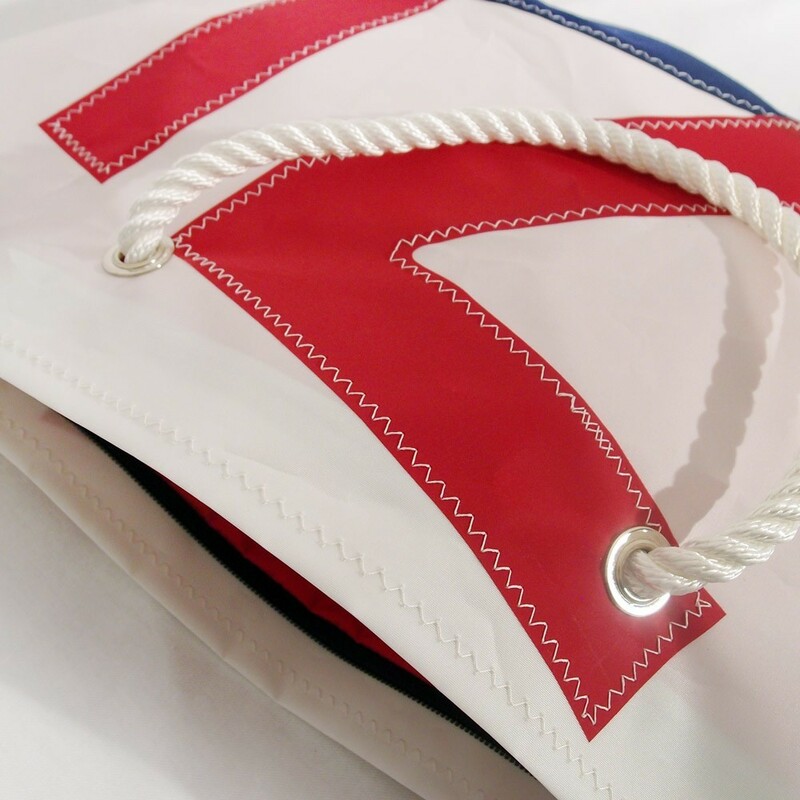 - Two handles made from authentic white boat rigging allows you to carry your bag over your shoulder. Two high-frequency welded stainless steel eyelets keep the handles in place. 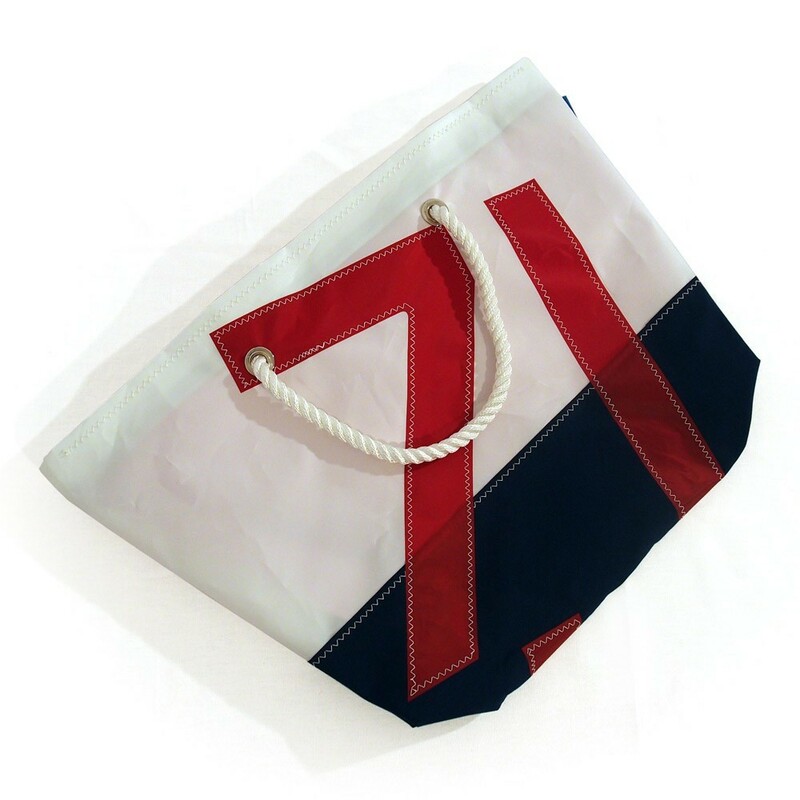 This is bag is a limited edition and available in only 100 copies. 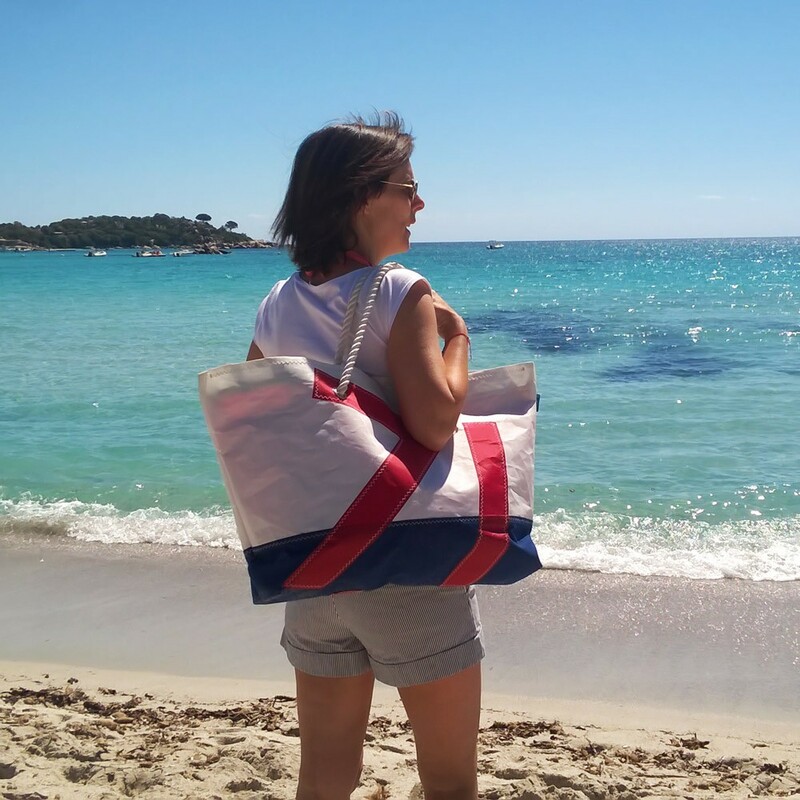 Très beau sac; Dommage qu'il n'existe pas en taille plus petite , je le commanderais.